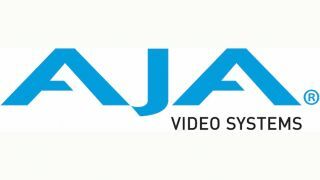 The What:AJA Video Systems recently released KONA IP, the company's first desktop video and audio I/O product for professional IP-based workflows. Simultaneously, AJA rolled out a free v12.4 Desktop software update for KONA, Io, and T-TAP, adding support for Adobe CC June 2016 releases, Avid Media Composer 8.5.3, updated Avid DNxHR support in AJA Control Room. The What Else:KONA IP is the next generation of AJA’s KONA line of PCIe capture cards and is already supported by several creation software and solutions companies including Avid, Adobe, and Grass Valley. KONA IP works seamlessly with AJA Desktop software, including AJA Control Room, Control Panel, and SDK tools. A founding member of the AIMS Alliance and participating member of the Aspen Community and Sony’s IP Live Alliance, AJA designed KONA IP to be a flexible platform that offers support for SMPTE 2022-6 IP-encapsulated uncompressed 3G-SDI video, audio, and VANC data. Through future firmware updates and codec package offerings KONA IP will also support compressed codecs like J2K and advanced IP protocols including VSF TR-04, VSF TR-03 and more. The Bottom Line: KONA IP can be purchased now via AJA¹s worldwide reseller network. AJA’s 12.4 Desktop Software for KONA, Io, and T-TAP is now available as a free download for Mac and Windows via AJA's support page.